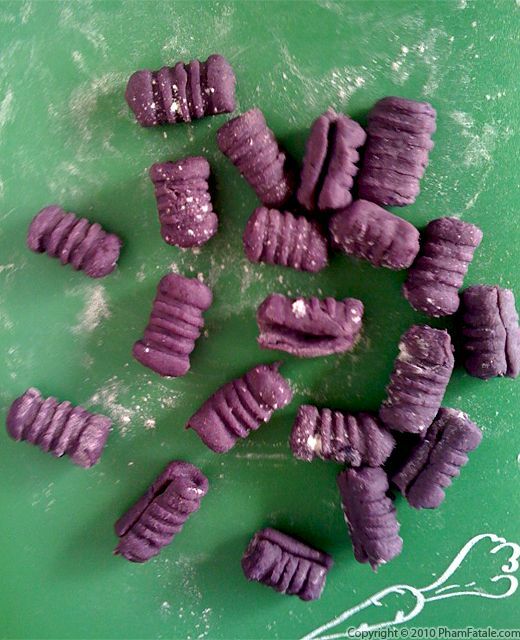 Gnocchi are a lot easier to make that one would think. The dough is made of mashed potatoes, flour and eggs. The preparation is very basic. The gnocchi bathe in boiling water for a few minutes and they're sautéed in a little butter. To make it more fun and playful for the kids to eat, I used purple potatoes, called Okinawan sweet potatoes. They look very similar to a white sweet potato and are oval-shaped with pointy tips. To repeat the purple-colored theme, I paired the pasta dish with roasted beets. I also added sage for flavor and almonds for crunch. We eat with our eyes first, and the vibrant color of this dish is sure to capture the attention of even the pickiest eater. After the reception it got from my girls, I expect I'll be making it fairly often. 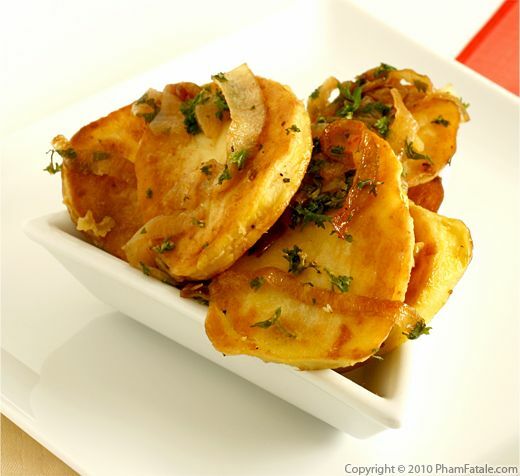 Pommes de terre lyonnaises is a crisp, yet tender potato dish. The potatoes are parboiled for faster cooking before being sautéed in butter. 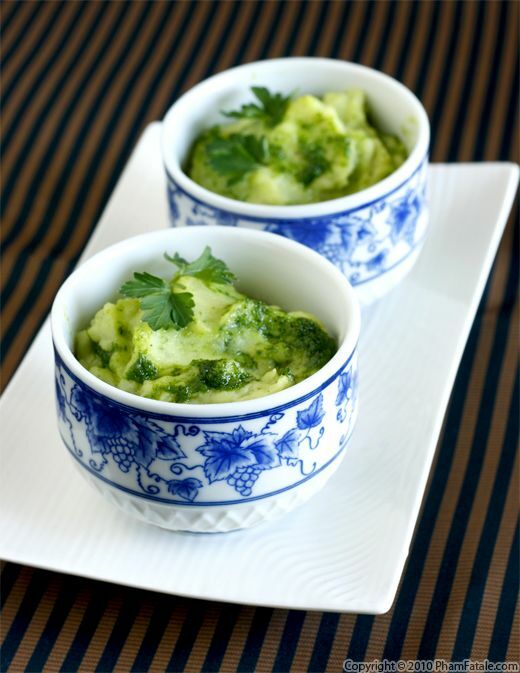 Sliced caramelized onions and parsley are added to the dish for color and a mild contrast of flavor. These potatoes are the perfect accompaniment to meat. I recently served them with lamb chops. 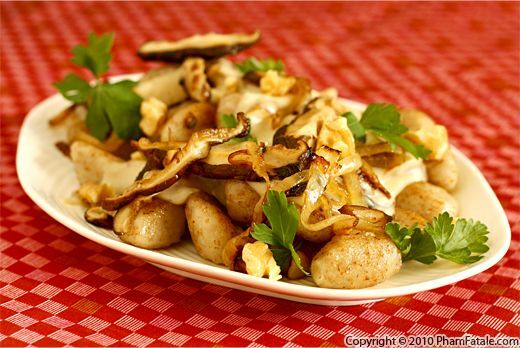 Lyonnaise potatoes originated in the city of Lyon which is located in East-central France in the region called Rhône-Alpes. 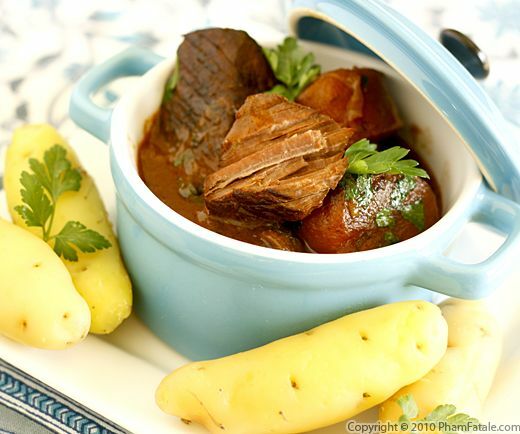 The region is famous for being one of the main centers of French gastronomy. 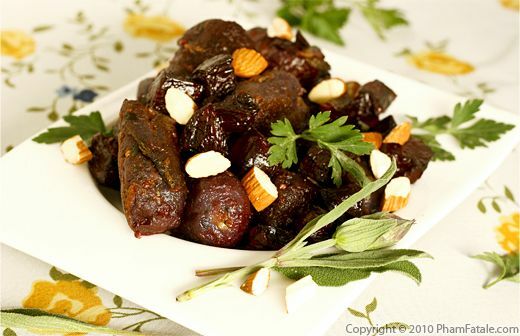 It has produced several beloved French dishes, such as coq au vin and marrons glacés. I haven't made a lot of dishes from Lyon in the past, but that will soon change. Bon appétit, and stay tuned! Page 5 of 14 pages.